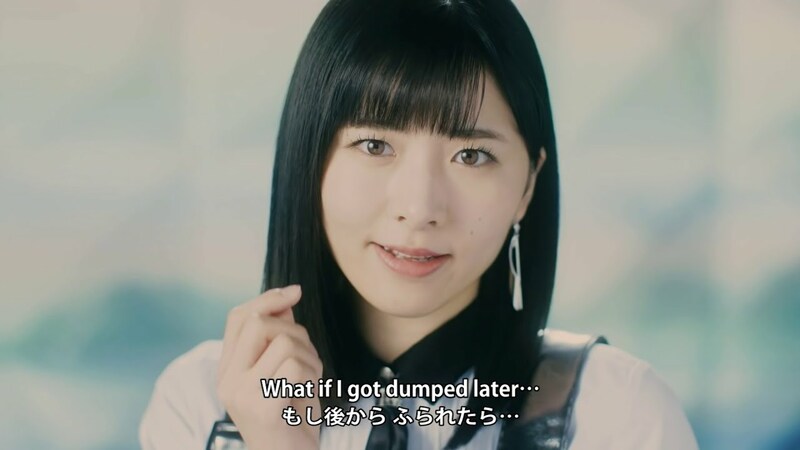 Tsubaki Factory kick things off for their fifth single with the promotional video for “Sankaime no Date Shinwa (三回目のデート神話, The myth of 3rd date) “. Working from a Kodama Ameko/Nakajima Takui song, the Camelia Factory girls keep things in Hello! Project style with an inward looking song. Guitars and keyboards clash for melodic lead on an arrangement that goes for a bit of Latin flavor in its verses. The quick pace of “Sankaime no Date Shinwa”, despite not springing up from Tsunku’s hand, carries a lot of Hello! Project flavor with heavily accented triplet melodies and moments of quiet amid the storm of instruments. In the well-executed dance shots, Tsubaki Factory dance among abstract geometric forms boxy and fractal-like. The girls also give plenty of pouty looks in their solo shots among those same forms. Lights flash on and off and emanate from some unexpected places, and this effect gives the PV additional depth. For a lead track, “Sankaime no date shinwa” is exciting and upbeat, and it should spark plenty of interested in this new single. 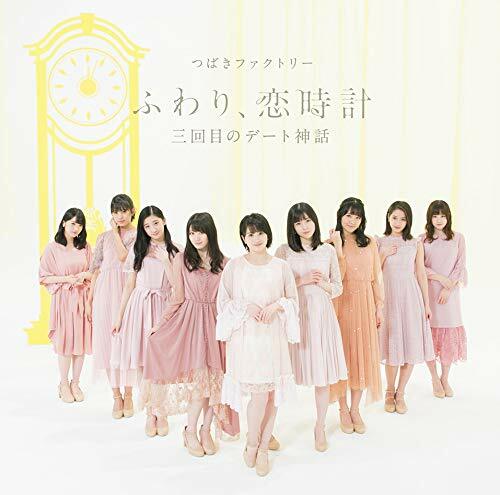 “Sankaime no date shinwa” from Tsubaki Factory’s fifth single goes on sale February 27, 2019. Tsubaki Factory (つばきファクトリー; Camellia Factory) is a Japanese pop group under Hello! Project, originally formed with six members from Hello Pro Kenshuusei in late April 2015. On April 29, the group was announced through Japanese media, and confirmed through Hello! Project Station. The group made their first performance at the Hello Pro Kenshuusei Happyoukai 2015 ~Haru no Koukai Jitsuryoku Shindan Test~ on May 4. 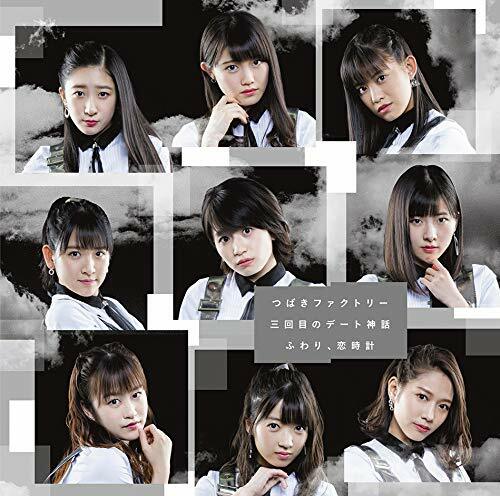 Tsubaki Factory released their major debut single on February 22, 2017. On November 16 that same year, Tsubaki Factory were also announced to have won a Newcomer Award from the 59th Japan Record Awards. At the ceremony on December 30, they were presented their award and were later announced as the winners of the Best Newcomer Award out of three other artists. 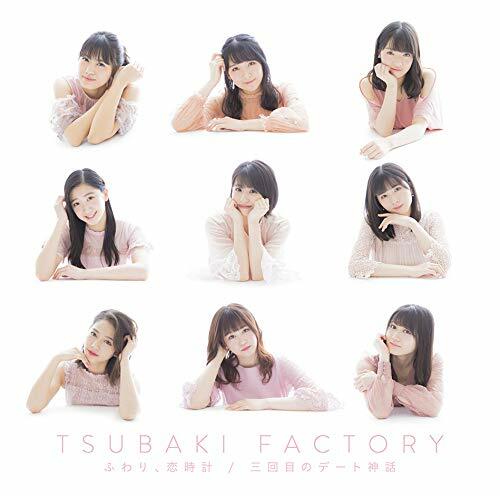 Tsubaki Factory is the sister group of Kobushi Factory and are considered successors to Berryz Koubou due to the involvement of Berryz leader Shimizu Saki in their naming and their similar naming convention to Berryz Koubou (Berryz workshop). Tsubaki Factory’s current lineup includes Yamagishi Riko (山岸理子), Ogata Risa (小片リサ), Niinuma Kisora (新沼希空), Tanimoto Ami (谷本安美), Kishimoto Yumeno (岸本ゆめの), Asakura Kiki (浅倉樹々), Ono Mizuho (小野瑞歩), Onoda Saori (小野田紗栞), and Akiyama Mao (秋山眞緒).